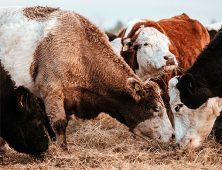 Recently the U.S. and China have locked horns in a battle of words over trade that has resulted in both countries threatening increased tariffs. The list of agricultural products impacted is worth about $3 billion but China is targeting the U.S. pork and soybean industry. How does this affect the American farmer? 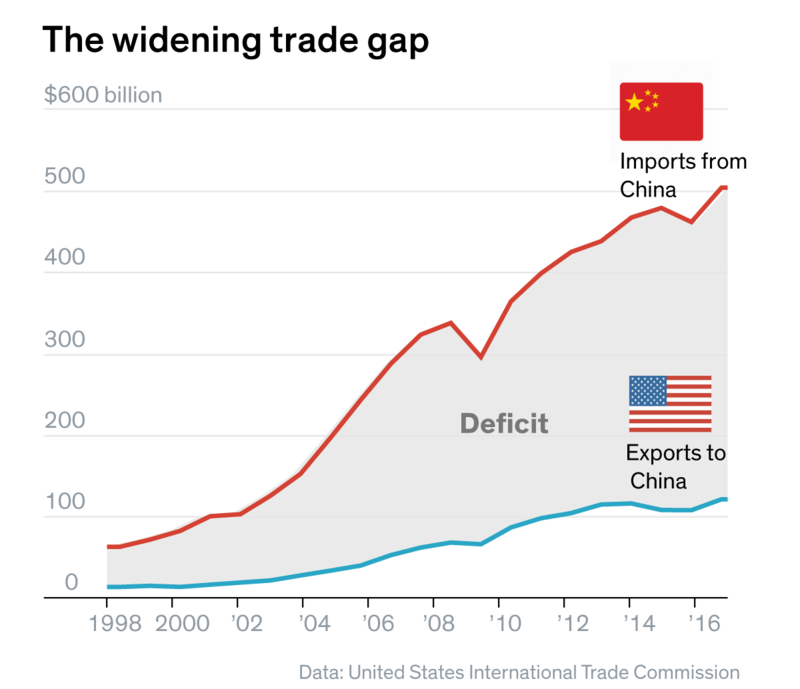 As the $375 billion trade gap between the U.S. and China continues to widen, the Trump administration is calling China to the table for unfair trade practices, currency manipulation, intellectual property theft and posing a threat to national security. Sticking to his “America First” message, the administration is engaged in a chess match of retaliatory measures with the Chinese government, with each government threatening tariffs on a wide range of goods. U.S. and global markets have been rattled, and U.S. farmers are stuck in the middle. Chinese officials announced proposed tariffs on imports of 128 U.S. agricultural products from pork and soybeans to apples, strawberries, and almonds. The total value of these diverse products equals $3 billion to the American farmer. Most notably, the Chinese have threatened to put a 25% tariff on American pork and soybeans and thus these exports are receiving the most media attention. This has created tremendous unease and uncertainty with U.S. farmers, who are already operating on thin margins. This means that for every dollar sold of American pork or soybeans, it will cost the Chinese buyer $1.25. And as a result, we are worried that the Chinese could look to other countries to buy the same product. But these proposed tariffs are not entirely surprising. When a country wants to retaliate with trade tariffs they will strategically aim for a vulnerable product. Not to mention, China knows how critical American farmers are to President Trump’s voter base and will do their best to ‘rattle their cages’ to create political uncertainty. U.S. agricultural exports totaled $140.5 billion in fiscal 2017, up nearly $11 billion from the previous year to the third-highest level on record. 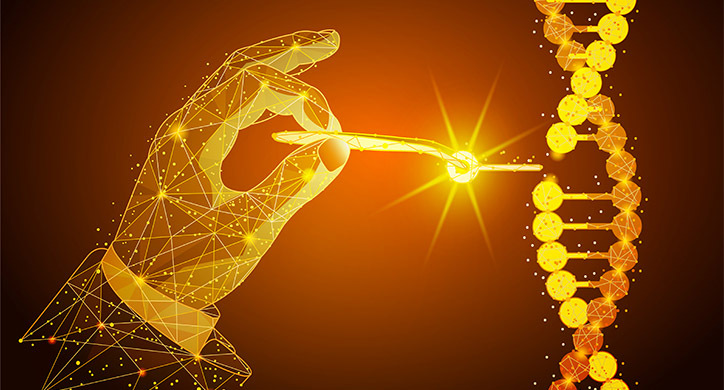 The question is not whether trade tensions and trade wars will adversely affect that track record. 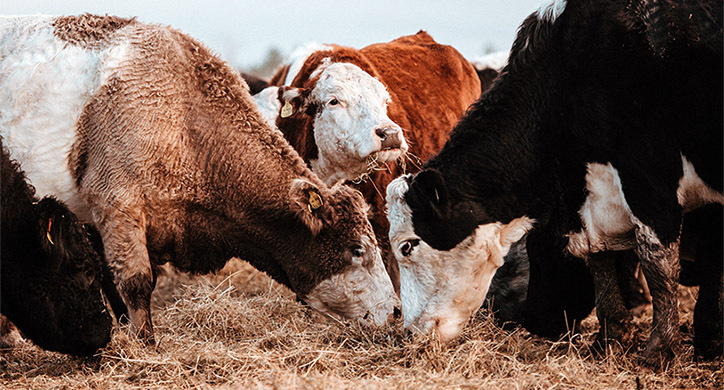 The only question is, “how much?” At D2D, we have previously explored the effects of beef trade around the world as well as the benefits of NAFTA, which we encourage you to read as well. China is both the largest pork producer and pork consumer in the world— they consume a LOT of pig products! Keep in mind, they have 1.4 billion mouths to feed! That is 1 billion more people than the U.S. And they must do this on roughly the same amount of land. 65% of the meat they consume is pork. Additionally, China has a rising middle class that is able to afford to eat more protein. As you can see, their pork consumption and GDP per capita is expected to continue. 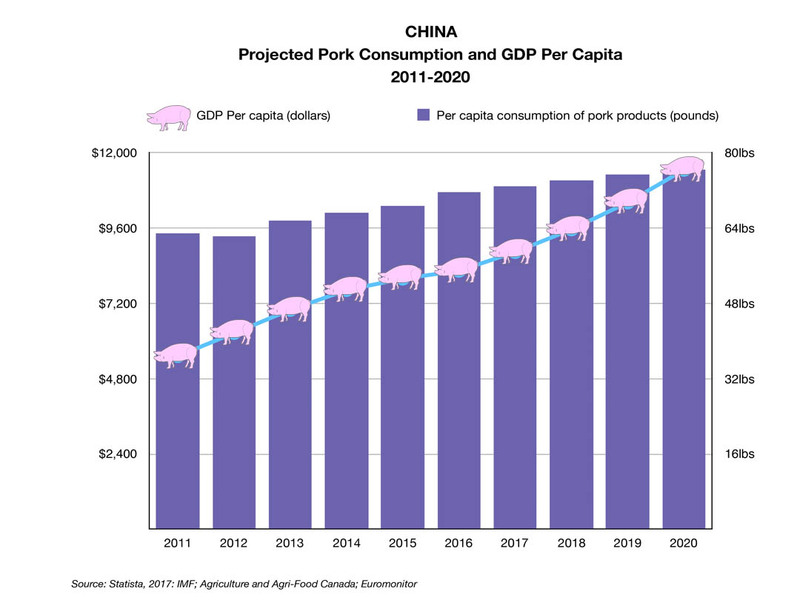 Large Chinese producers and smaller hog farmers raise 97% of the pork to feed their population, but they look to the European Union, the United States, and Canada to round out the remaining 3%. Approximately 1% of their imports come from the U.S. – equaling roughly 496 thousand metric tons worth $1.1 billion. 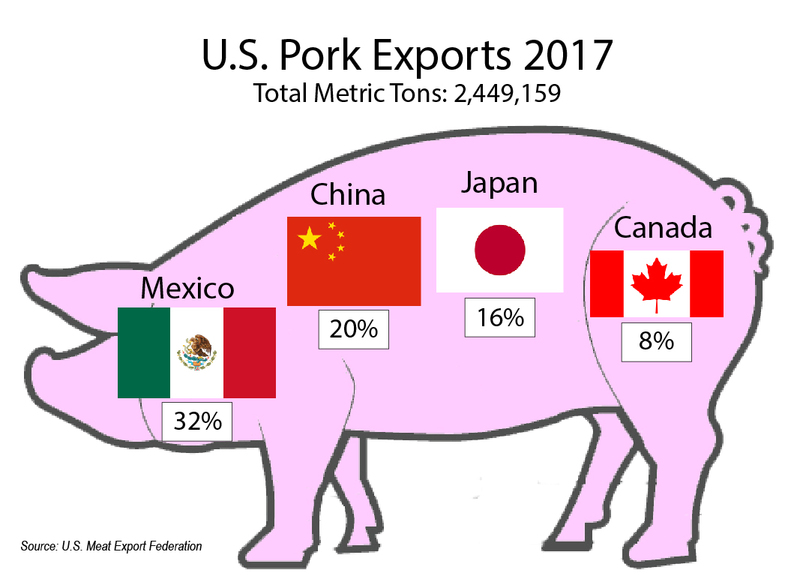 China is our second largest pork export destination, after Mexico. (The United States sold 801 thousand metric tons to Mexico, which speaks to the importance of NAFTA.) However, the higher price of U.S. pork could force China to turn to the European Union and Canada – at the detriment of American pork farmers. “The United States is a reliable supplier of pork products to China, and this decision will have an immediate impact on U.S. producers and exporters, as well as our customers in China. We are hopeful that the additional duties can be rescinded quickly so that U.S. pork can again compete on a level playing field with pork from other exporting countries.” – Dan Halstrom, Meat Export Federation President and CEO. China’s proposed tariffs on U.S. soybeans is also significant, albeit a bit different. Soybeans are linked to pork production as they are integral to feeding and growing approximately 435 million pigs. There are more pigs in China than people in the U.S.! 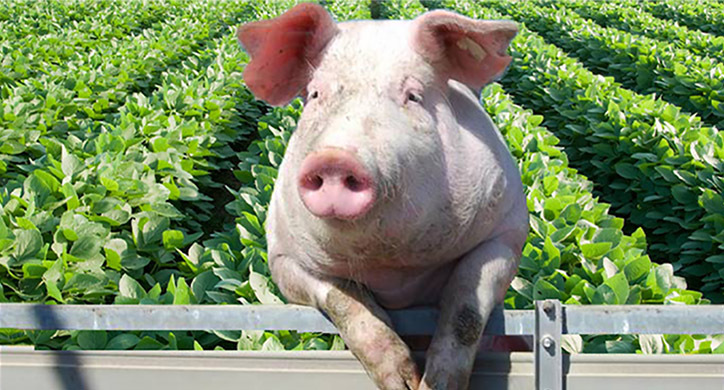 Pigs need soybean meal because it has the highest protein concentration of any oilseeds or grains. Soybeans are one of those perfect foods. It has a complete range of amino acids, more than other proteins, and more protein than pork, milk, or eggs. Protein is needed in order to grow to the pig farmer’s goal of almost two pounds a day. Soybeans are made into soybean meal (80%) to feed to animals or make into soybean oil and biodiesel (20%) for cooking and fuel. China imports its soybeans from the United States, Brazil, and Argentina. 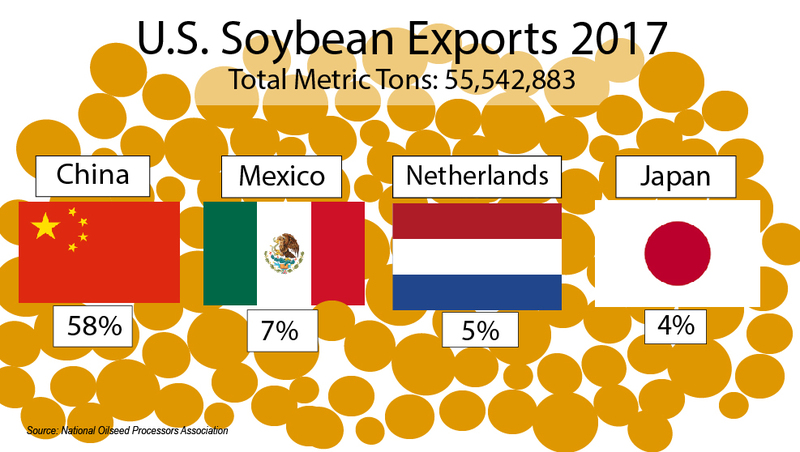 The United States is the world’s largest soybean producer and the largest exporter just ahead of Brazil and Argentina. Over the years, U.S. farmers have shipped massive quantities of soybeans to China, Japan, Mexico, Taiwan, even the European Union. 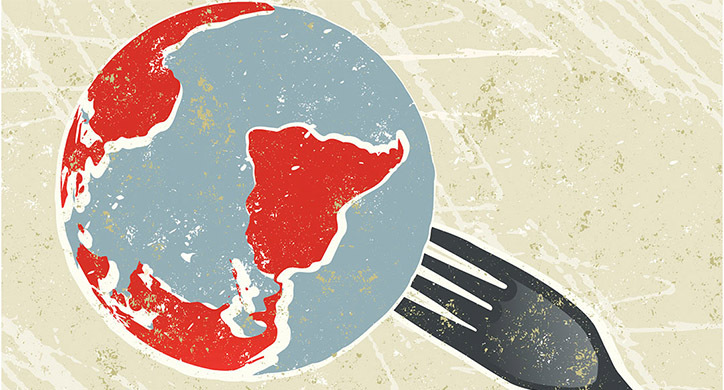 As the world eats more protein, more soybeans are expected as well. While the United States is the largest soybean producer, we are not always the lowest cost producer. Brazil and Argentina operate with 11-28% lower costs because of cheaper land and lower capital costs. Adding a 25% tariff on our soybeans makes the U.S. even less competitive. On top of all that, the past five years have been wonderful growing seasons, which has produced a surplus of soybean crops, and this inevitably lowers the selling price. However, fortunately for the U.S., China needs a lot of soybeans and they can’t get them all from Brazil and Argentina because the volume is not enough as they are in the Southern Hemisphere – at the opposite time of harvest in the Northern Hemisphere. In the long run, a tariff on soybeans would stand to hurt China more than the U.S., because China will always need soybean meal for their pigs. Despite market volatility, unless the Chinese stop eating pork, U.S. soybeans will be needed in China. 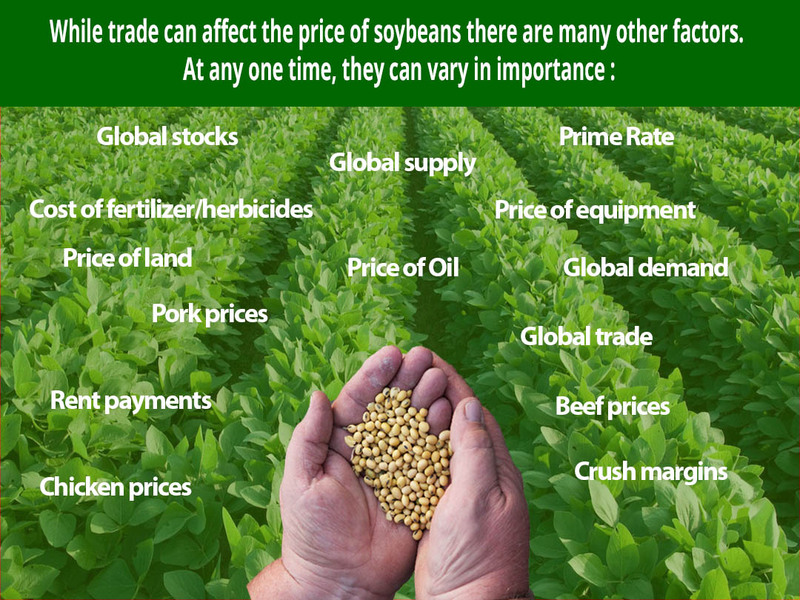 Many factors affect the price of soybeans. Break even for farmers varies but is generally from $8.50/bushel – $9.00/bushel. 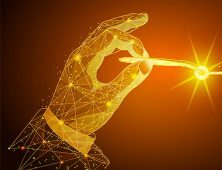 In the short term, trade disruptions hinder the price of an agricultural commodity. This puts strain on America’s farmers, who are already contending with variable crop disruptions. That is exactly the point of China’s strategy. 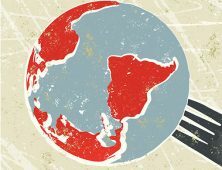 However, having 1.4 billion mouths to feed, China needs to have a reliable supply of food to keep food insecurity at bay.